Cruel Necessity it might be, I doubt the experts over at Play Board Games think it is such. Or maybe they do. Gotta read the review to find out. 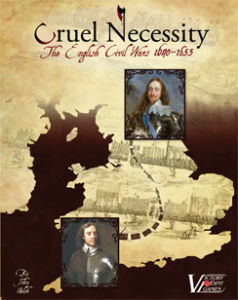 Cruel Necessity is a solitaire war game about the English Civil Wars. You must stop four advancing armies from destroying your ideals and hold onto London.